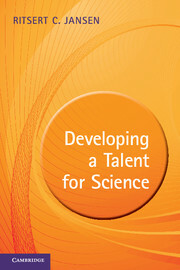 Dreaming of a successful future in science? 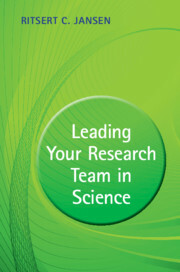 This practical guide for students, postdocs and professors offers a unique step-by-step approach to help you get the funding to start or consolidate your own research career. From preparing and writing effective career grant applications, to understanding how funding agencies will evaluate them, it provides guidance to enhance your skills and combine them with those of others who can support you on the road to success. Learn how to generate great original ideas for your application, strategically prepare and optimise your plan and résumé, develop a convincing title and abstract, convert reviewers' comments to your advantage, and succeed at a selection interview. 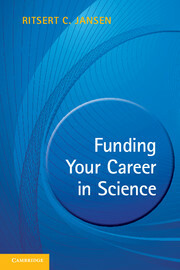 With numerous valuable tips, real-life stories and novel practical exercises, this must-read guide provides everything you need to optimise your funding opportunities and take responsibility for your own career in science. "This is a well-written text for the purposes of enlightening the readership on proposal writing. I highly recommend it for use by those in the early stages of seeking funding for their careers in science and engineering." "… a practical guide aimed primarily at early career academics considering the major challenge of writing applications for project grant and fellowship funding. With success rates for proposals reduced to an all-time low, help on how to be competitive is precious … strongly recommended if you are a postgraduate biology student, postdoc or young group leader." "… offers valuable advice … Recommended." Ritsert C. Jansen is Dean of Talent Development and Professor of Bioinformatics at the University of Groningen. He has extensive experience as a trainer on career and personal development courses and is the author of Developing a Talent for Science (Cambridge University Press, 2011).